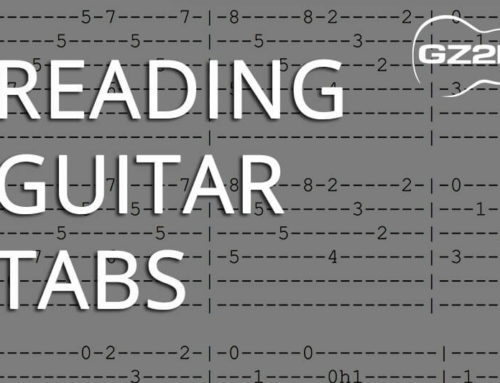 For new beginners out there, reading a chord chart might look like just a bunch of lines and circles, thankfully reading a chord chart is not very difficult at all! 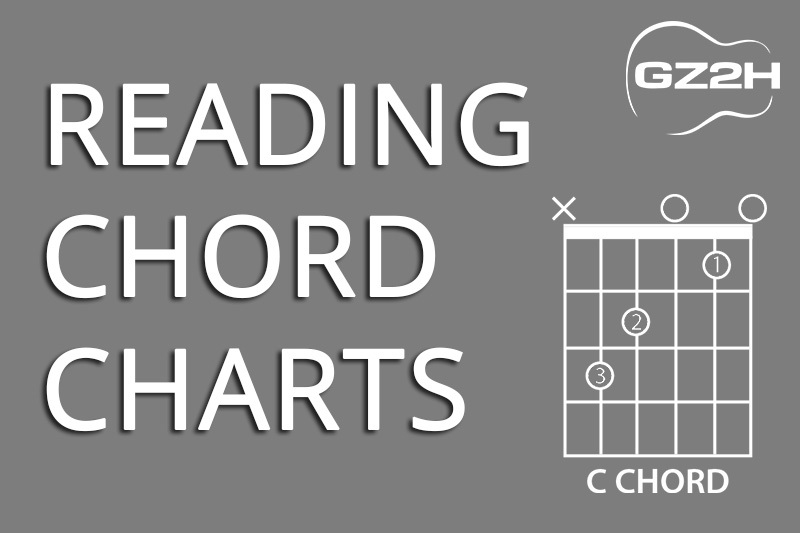 There’s just a few different things we need to keep in mind when reading chord charts. 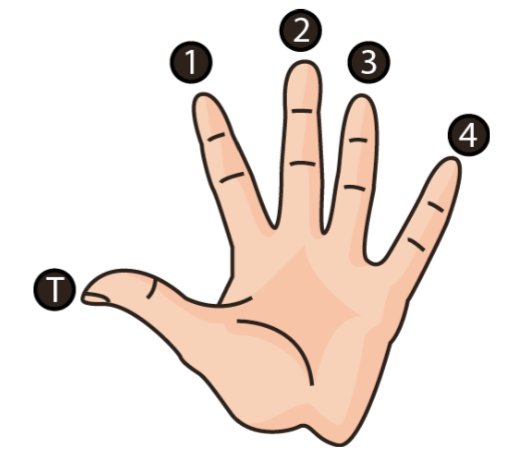 Let’s start with finger positioning – Each finger on your fretting hand is assigned a number/letter. 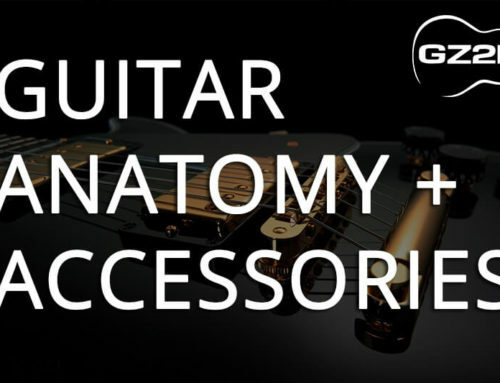 This is the same regardless of whether you are fretting the guitar with your left or right hand. 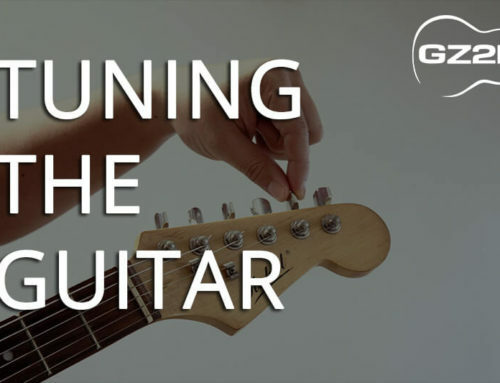 Any circle with a number/letter designation on a chord chart simply means you will need to push that particular string down on that particular fret with the designated finger. 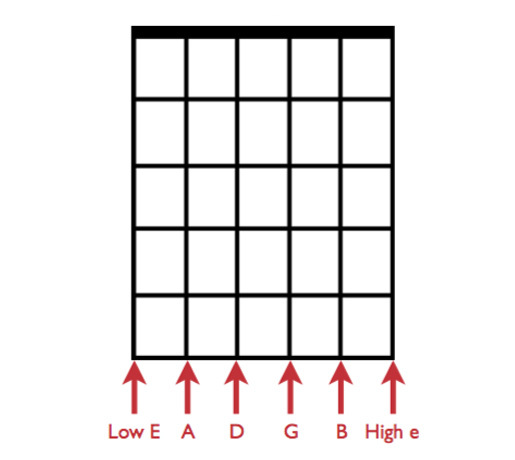 Visually, the chord charts are a visual representation of generally 4-5 frets of a guitar neck standing vertically as shown in Figure 2. 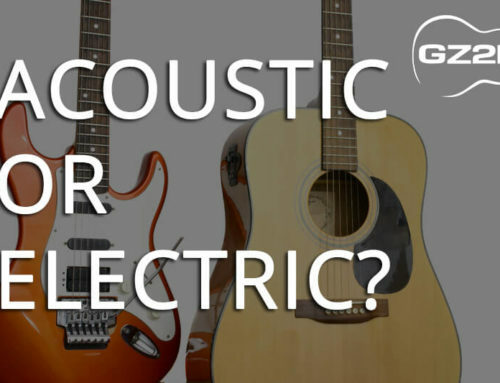 Therefore from left to right we have the thickest strings to thinnest strings respectively. Simple! Figures 4 and 5 show examples of chord charts. These charts have been annotated with the red arrows to further explain what the different parts of the chord chart mean. An open circle above a string means that the open string should be played in that chord. Do not mute it or push down on any fret of that string. A cross above a string means that we do not play this string in that particular chord. 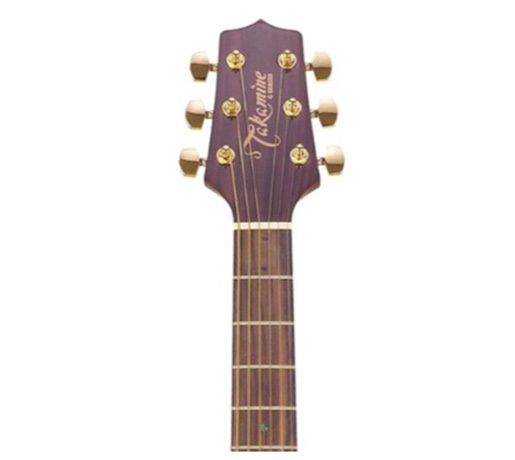 The thick black line at the top of the chord chart in Figure 4 represents the nut of the guitar neck. 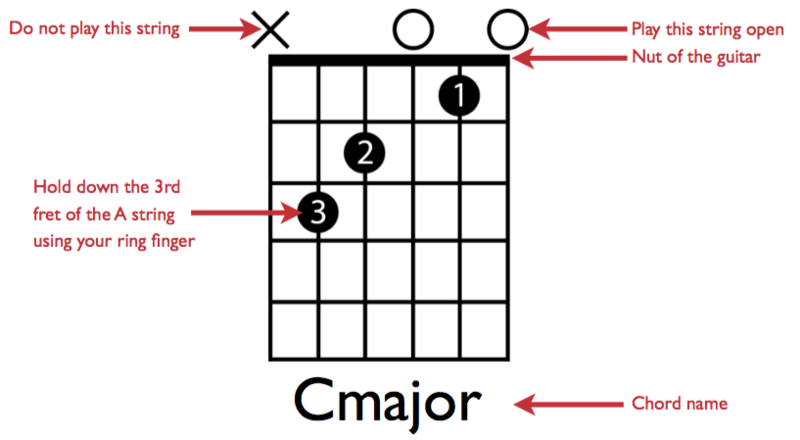 Figure 5 does not have this black line, meaning that this chord shape is further up the guitar neck. 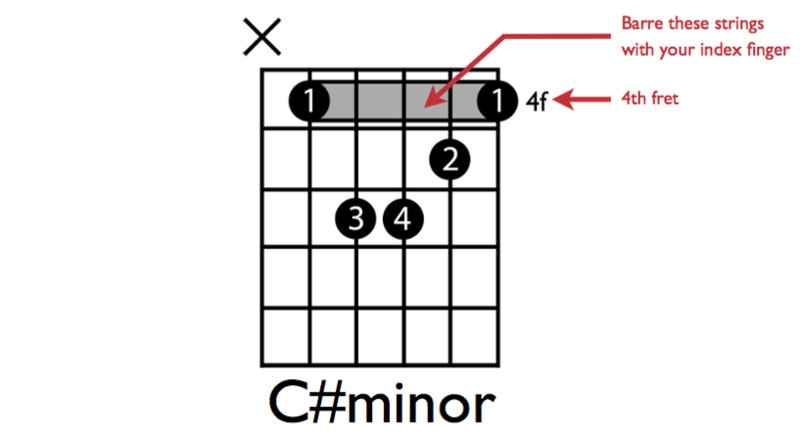 The “4f” note next to the chart chart in Figure 5 means that this chord shape begins at the 4th fret. 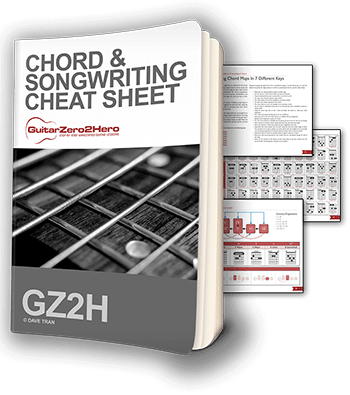 The concludes everything you need to know in order to be able to read a chord chart!